Chicken and biscuit, a new menu item from Home by Phill Milton. Image courtesy of Galley Group. The ever popular restaurant incubator, Smallman Galley, has just introduced their third group of new restaurants and chefs. But this time, instead of introducing four new concepts, diners will find two newcomers alongside familiar favorites Iron Born (staying one more year) and Banhmilicious (staying six more months). What’s new? 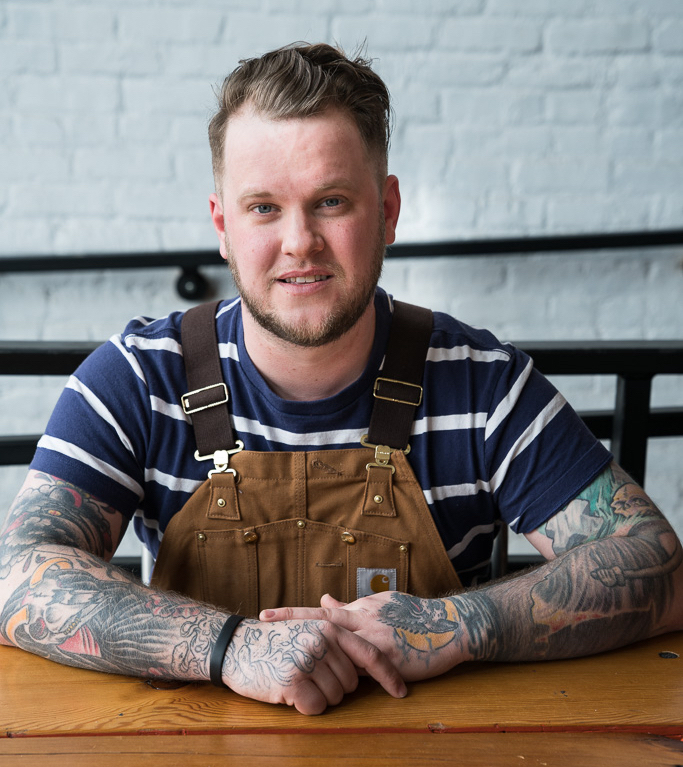 Smallman Galley welcomes Joey’s Snack Bar by Joey Hilty, current owner of Pittsburgh favorite The Vandal, and Home by Phill Milton, who most recently served as sous chef at fl.2 in the Fairmont Hotel Downtown. 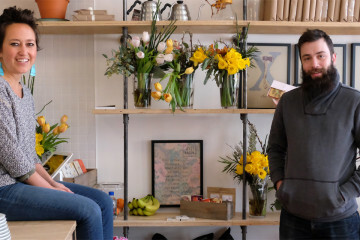 We talked with both chefs about their inventive and tasty menus, what drew them to this incubator space, and what excites them about the future. Chef Joey Hilty. Image courtesy of the Galley Group. 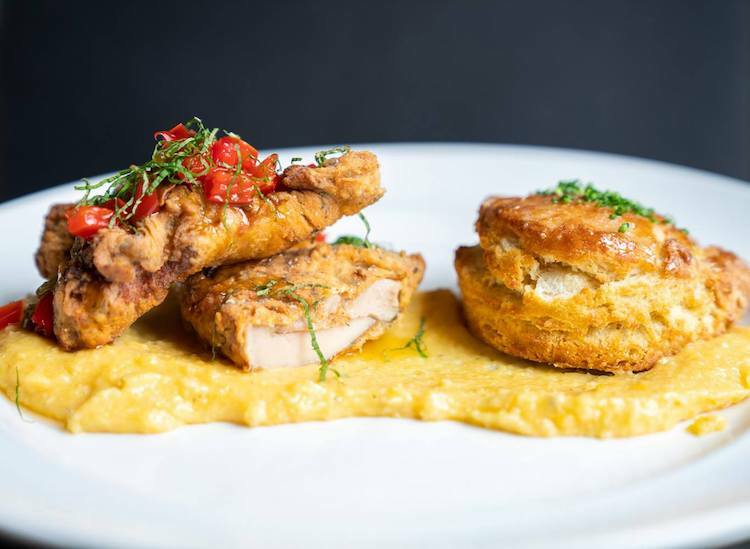 This new offering is a bit of a deviation from Smallman Galley’s typical concept since Joey Hilty already runs a successful Lawrenceville restaurant. Hilty believes this previous experience will be helpful while running Joey’s, but he’ll also have space to experiment. 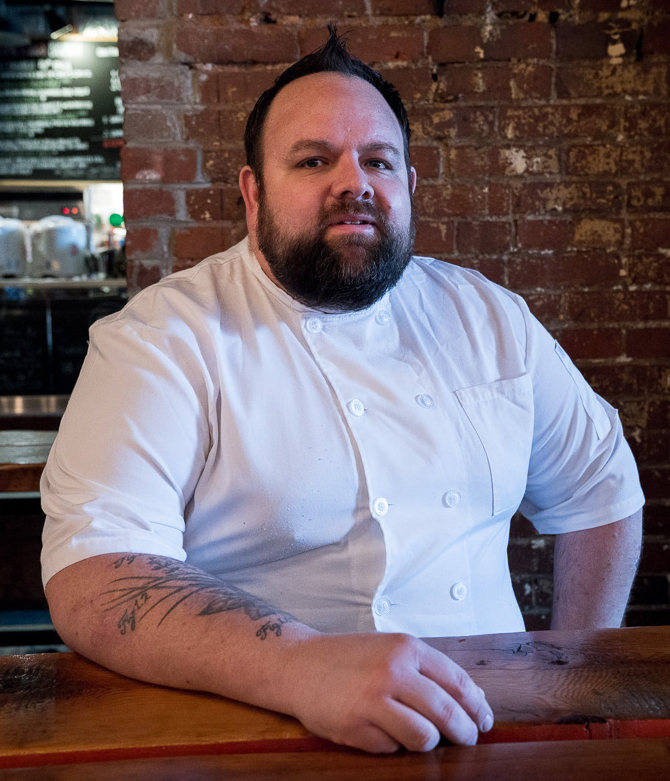 Hilty is eager to stretch his cooking muscles and express his creativity, welcoming the chance to interact with a wide range of new customers in the Strip District. Joey’s menu will have small bites, so people can sample a variety of items both from Joey’s and the other concepts inside Smallman Galley. The menu inventively mashes up a variety of influences including French, Mediterranean, and even a dash of fast food. Hilty believes Pittsburghers have developed a more refined palate and our “going out” expectations have elevated. He wants his menu to reflect that. Notable menu items include a stracciatella tartine with French cherries and pistachio butter, grilled asparagus with a soft poached egg and anchovy aioli, and confit chicken and frites with a ramp salsa verde and saffron aioli. Chef Phill Milton. Image courtesy of the Galley Group. 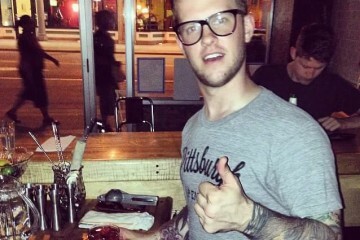 Phill Milton came to Pittsburgh for the same reason so many people move here: family. His wife, Melanie, a native Pittsburgher and his right-hand woman at Home, wanted to be closer to her family. After working at fl 2. in the Fairmont Hotel Downtown for a while, Milton was working an event when he met the owners of Michigan and Trumbull at Federal Galley. Kristen Calverley and Nate Peck sung the praises of the Galley Group. That’s when Milton decided to apply for a slot. The menu was inspired by what Milton and his wife most enjoy: comfort food. Home’s debut menu will include a chicken & biscuit dish (a buttermilk biscuit with pickle-brined chicken), as well as “cheese n’ crackers” (cheddar cheese curds with crackers and a special Home sauce), and the simply named “meat and potatoes,” which is short rib ragu and parmesan gnocchi with whipped basil ricotta. It’s approachable, but also allows the couple to experiment and be playful with the menu. Milton believes most of his future inspiration will come from conversations with guests about what types of dishes they enjoyed while growing up. His creative takes on these simple favorites will hopefully bring diners back for more.